This week, two different U.S. Food and Drug Administration committees have been taking testimony about the future of genetically modified salmon. 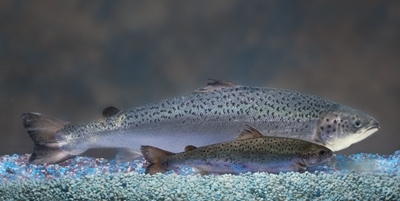 On Monday, one committee — the FDA’s Center for Veterinary Medicine — heard testimony about whether genetically modified salmon is safe to eat and if it should be approved. Tuesday, the other committee — the FDA’s Center for Food Safety and Applied Nutrition — heard testimony about whether or not genetically modified salmon should have special labeling. The issue is over a genetically modified Atlantic salmon produced by the Massachusetts firm AquaBounty Technologies, known as AquAdvantage®. The AquAdvantage® fish not only includes a growth gene from a chinook salmon, which makes it reach market size in 16-18 months instead of the usual three years, plus there is a gene from an eel-like fish known as an ocean pout. 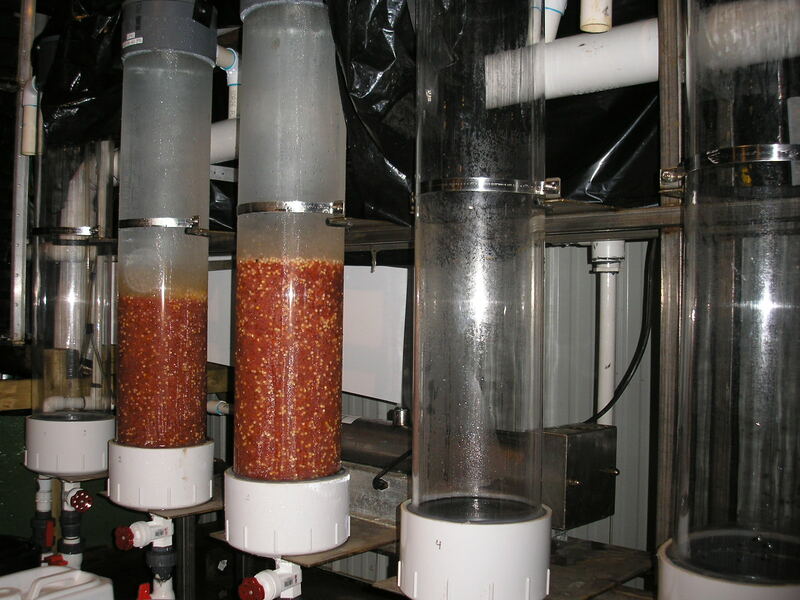 According to AquaBounty, all of the commercialized fish will be female and sterile, and the fish are designed to be raised in fresh-water pens or tanks on land instead of the usual salt-water pens where most farmed Atlantic salmon are raised. Many in the biotech, food and other industries are pushing for the FDA to quickly approve the commercial production of this fish. But some consumer groups, food safety experts and others want the FDA to slow or end the approval process until more is known about the fish. On Tuesday’s Alaska News Nightly show, the Alaska Public Radio Network reported that it may be some time before genetically modified salmon reach the market. However, the Los Angeles Times reported that the FDA seemed to give preliminary approval to the fish’s safety and the main issue was who is responsible for telling the consumer the fish has been genetically altered. The idea of a genetically modified Atlantic salmon is of special concern to Alaska’s fishermen. Many fish farms in British Columbia raise Atlantic salmon, and there have been times when Atlantic salmon have escaped from the fish farm pens and mixed with wild Pacific salmon, including in Alaska. The Alaska Department of Fish and Game considers Atlantic salmon an invasive species, and already requests fishermen turn any Atlantic salmon caught in Alaska in to the nearest ADF&G office without being cleaned. According to ADF&G, there are concerns that Atlantic salmon might bring diseases to the five species of Pacific salmon and compete for food. In addition to more recent cases of diseases among farmed fish and a high use of antibiotics, farmed Atlantic salmon also harmed the markets for Alaska fishermen trying to sell wild salmon (fish farming is banned in Alaska), and prices for Alaska fish dropped substantially when fish farms became more popular in the late 1980s and early 1990s. It’s only been in recent years that Alaska fishermen have started to regain some of their lost market share. Sitka Conservation Society intern Molly Andrews has been keeping a blog this summer on the genetically modified salmon issue and what the fish could mean to Sitka. Molly’s blog has links to several stories about genetically modified salmon (recently called “Frankenfish” by U.S. Sen. Mark Begich, D-Alaska). The blog also has contact information if people want to contact the FDA or other officials to make comments about genetically modified salmon. This entry was posted in education, Fish and game, Food choices, food security and tagged ADF&G, Alaska Department of Fish and Game, Alaska fishermen, Alaska News Nightly, Alaska Public Radio Network (APRN), AquaBounty Technologies, AquAdvantage®, Atlantic salmon, British Columbia, education, escaped farmed salmon, farmed Atlantic salmon, FDA, FDA Center for Food Safety and Applied Nutrition, FDA Center for Veterinary Medicine, fish, fishermen, food, Food and Drug Administration, food safety, food security, Frankenfish, genetically modified Atlantic salmon, genetically modified salmon, invasive species, Los Angeles Times, Molly Andrews, Pacific salmon, salmon, Sen. Mark Begich, Sitka, Sitka Conservation Society, wild Alaska salmon. Bookmark the permalink.